It is time to party! 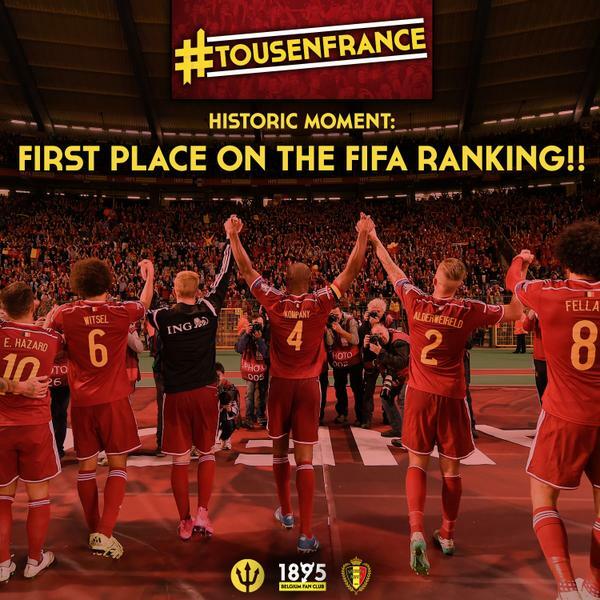 Belgium climbed to number 1 in the FIFA world rankings on Tuesday night thanks to their 3-1 win over Israel. After the Israel win, there was already a planned party featuring DJs Dimitri Vegas & Like Mike. This looks like plenty of fun. The fact Holland didn’t make it to Euro 2016 can’t have hurt either!